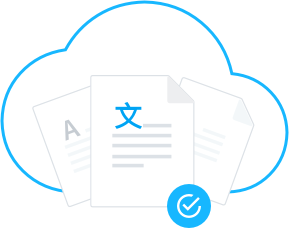 Translate a few software strings or deploy Memsource to automate translations in your global organization. Whether you use in-house linguists, translation companies, or machine translation, Memsource provides all you need to automate the process end-to-end, including out-of-the box CMS connectors, powerful continuous localization features, and rich REST API. Memsource has patented a unique approach to reducing translation costs by combining traditional translation technology with state-of-the-art artificial intelligence. The patented AI technology is capable of identifying content that can be translated automatically at high quality. Connect Memsource with your CMS such as Sitecore, AEM, WordPress, Drupal, or other systems such as Git, Magento, Zendesk, Marketo, HubSpot, Google Drive, Dropbox, and more, to seamlessly and securely send files for translation and receive them back with full end-to-end automation. 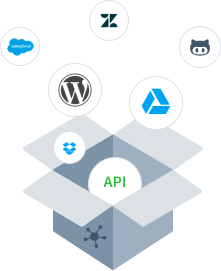 Or, build a custom integration using our REST API, which provides comprehensive coverage of Memsource’s functionality. Pick the engine that works for you thanks to over 25 machine translation engines integrated in Memsource to reduce translation costs. Further enhance the process by leveraging Memsource’s AI-powered machine translation quality estimation, capable of evaluating each engine’s output. Translating in Memsource is intuitive, collaborative, and accessible across all platforms (PC, Mac, Linux, iOS, Android). Translators have the option of working in two environments: Memsource Web Editor which opens in browser, and Memsource Desktop Editor, which syncs with the cloud in real time and supports offline work. 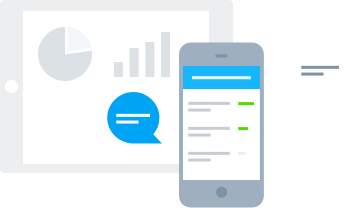 Manage your translations with your mobile phone or tablet so you’re always up-to-date and ready to go. Notifications delivered to your mobile phone and instant dashboards ensure that you’ll never miss a deadline. Available for iOS and Android. 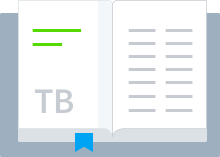 All translations are automatically stored in your translation memory. Whenever possible, they are reused to prevent you from translating the same content twice. This not only saves you translation costs, but also improves your translation quality by reusing approved translations. Terminology management is an essential part of translation to ensure term consistency across all content. Fully integrated into the Memsource translation environment, our terminology features guide your translators to use the correct words and phrases every time, reinforced by real-time quality checks.